One of the best parts of this year-long road trip is reconnecting with friends we haven’t seen for years. Or decades. Shelley. Shelley and Kim met during junior high. During high school, Shelley and her family were like a second home to Kim. 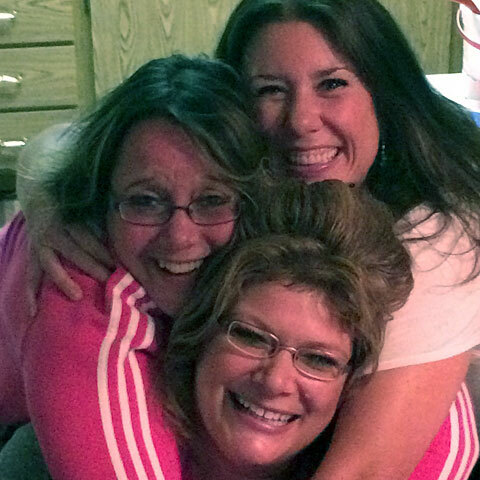 In their late teens and early twenties, they added another friend (Carol) to the mix, as well as Kim’s new husband. The four of them were almost inseparable. When Shelley and Carol decided to move to Minnesota, they asked Kim and Rob to join. Kim and Rob moved first; the other two girls followed a little later. But, as often occurs, people moved and families happened. Shelley got married and had kids. Kim and Rob got a divorce. Carol moved to Nebraska. Through the twists and turns of fate, Shelley and Kim and Carol hadn’t seen each other in nearly fifteen years. Last winter, when Kim and I started planning the places we wanted to go, one of the first places she marked was Shelley’s home in Minnesota. While staying with Kim’s mom in Fort Collins, Colorado, Colorado, she realized that Shelley was no longer in Minnesota. “It looks like she’s just a few hours away, near Alliance, Nebraska,” she told me. “Maybe we can visit her when we leave Fort Collins.” She tried to contact Shelley again. Again, she received no response. “This doesn’t make sense,” Kim said. “I wonder if I did something to make her mad.” Instead of veering into Nebraska, we headed north into Wyoming, then to Montana and the Dakotas. When we reached the Black Hills of South Dakota — closer to Alliance, Nebraska even than Fort Collins was! — Kim tried to contact Shelley again. And Shelley tried to contact her. “You’re so close!” Shelley commented on Facebook. “Come visit!” But when Kim tried to reach Shelley, there was no response. We left the Black Hills and moved on to the Badlands. I know how important it is to keep connections with old friends. We were planning to meet some friends of mine in Minnesota in just a few days. Plus, I was struggling to reconnect with a friend from college. I’d like to see Dana in Minneapolis, but she hasn’t replied to my messages. Kim called Carol and Carol called Shelley and Shelley called Kim. Together, the three of them formulated a plan. 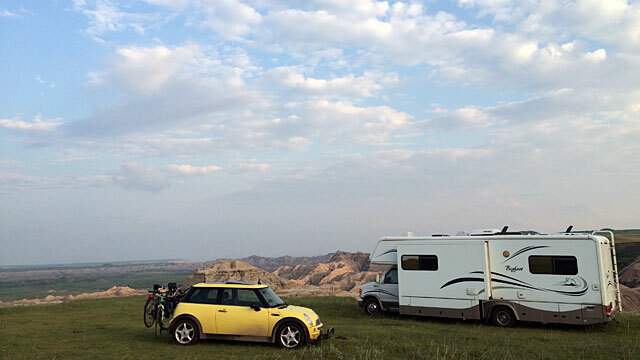 On Tuesday morning, we left the RV alone on the edge of a cliff overlooking Badlands National Park. We hopped in the Mini Cooper and drove the 200+ miles from Wall, South Dakota to Hemingford, Nebraska. We reached Shelley’s house at about one in the afternoon. Kim and Shelley shed tears of joy (for real!) as they hugged each other for the first time in more than a decade. “It’s so good to see you!” Shelley said. Carol arrived soon after, and the three women fell easily into old, familiar patterns. 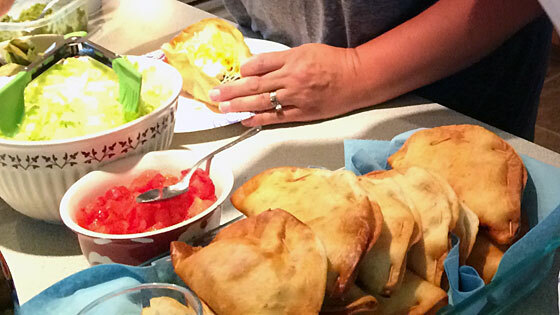 Deep-fried tacos are surprisingly good! We stayed up late talking and laughing. I didn’t have much to add to the conversation, but enjoyed watching Kim and her friends behaving so joyfully. Exhausted, we finally crashed in a back bedroom at Carol’s house. Our sleep was fitful from too much adrenaline and alcohol. No matter. Kim was happy. She’d got to see a couple of her oldest friends — and get their correct contact information. I really enjoyed reading this. The older I get (and I’m older than you two), the more I value old friends and the history I have with them. Hoping you are able to get together with your old friends, JD. Thanks! I hope for JD’s sake we are able to as well. The older you get the more you value and want to nurture meaningful relationships.